When I started reading my advance copy of The Emperor of Ice Cream (EOIC), out March 26, 2019 from Unsolicited Press, I didn’t know what to expect. I knew Gary Almeter was wickedly funny from his humor writing on McSweeney’s, Weekly Humorist, and Points in Case among others. And while this wit shines through in EOIC in clever asides, characteristic Almeter rants, and delightfully surprising footnotes, what I didn’t expect was how genuine and heartfelt this book would be. EOIC is a memoir about transcending one’s beginnings. Almeter grew up on a farm in rural New York, but always yearned for a city life. However, leaving your past behind isn’t easy. Almeter deftly explores the inner conflict that comes with moving on and looking back. He does so in large part by comparing his life to the life of his grandfather, who lived his entire life on the farm (or thereabouts). 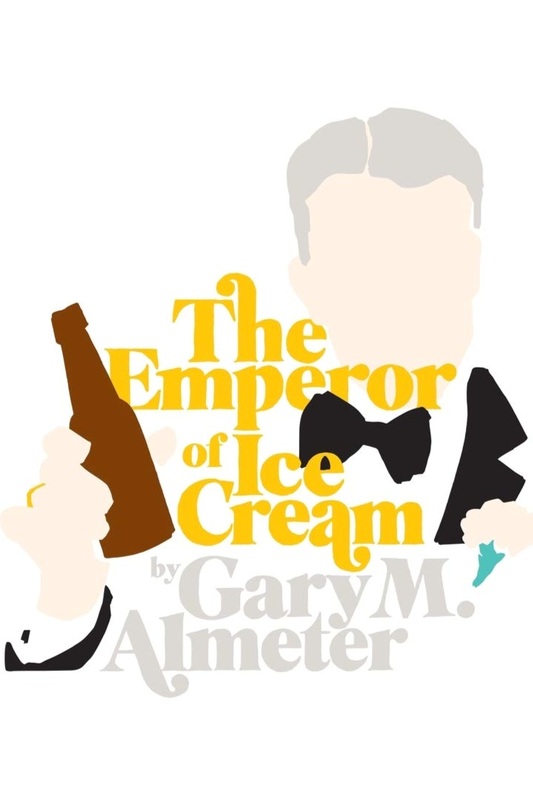 EXPLORATIONS OF AMBIGUITY: Your book is called The Emperor of Ice Cream and since the title and cover is pretty much the only thing I care about in a book, I have an important question. Isn’t it a bit presumptuous to anoint yourself the Emperor of Ice Cream when presumably Mr. Haagen-Daaz is still walking the earth somewhere? ALMETER: Your naivete is refreshing Andrew. Everyone knows that Mr. Haagen Daaz is the Czar of Frozen Custard. And Ben and Jerry are the Shah of Sherbet and the Sultan of Sorbet respectively. Also, the Emperor of Ice-Cream is a poem by Wallace Stevens. Who, very interestingly, was an insurance executive and a poet. EOA: Interesting! It would seem Wallace Stevens was much like you and me in that he had many talents. Perhaps not the most useful talents, but still, talents! Your book talks a lot about how you grew up on a farm, but always wanted to transcend your rural beginnings. Why exactly do you hate real America so much? ALMETER: This is fake news. I do not hate real America. I loathe real America. And the nouveau riche. And mustard and mayonnaise and ketchup and relish and ranch dressing and sour cream. And olives. And gnomes and talking monsters and gargoyles and leprechauns and cryptozoological creatures of any kind and sorcerers and wizards and anyone who dabbles in the dark arts. And had you read the whole book, Andrew, you would know that my understanding of real America evolves (Editor’s note: I read the whole book). My disdain for mustard will never change though. EOA: Well, a lot to unpack there, but my wife would certainly agree that mustard is a scourge on us all. EOIC is also largely about your grandfather and your relationship with him. Both your real relationship and the one you constructed in your head based on your assumptions of what he thought of you. Why did you decide to tell this story rather than a story about teenage vampires? ALMETER: Because my market research suggested that books about dairy farmers and their quasi-narcissistic and wholly unreliable grandsons sell more copies than books about teenage vampires. EOA: Fascinating. So, let’s address the elephant in the room. You cuss in this book. Like, a lot. It starts out very sweet and then suddenly it’s like walking into a hospital labor and delivery unit. I’m not sure there’s a question here. I'm just warning my primary reader, my mom, if she takes my book recommendation to be prepared. Thoughts? ALMETER: There’s the rudimentary cursing, the best examples of which are the way that sailors and women in labor do it, and there’s the artistic cursing the way that Quentin Tarantino and Helen Mirren do it. My (expletive) book is clearly the latter, (expletive). EOA: I noticed when it comes to politics and one current president in particular, you don’t pull any punches. I’m specifically thinking of one footnote that is pretty graphic. Something about if you’re a fan of a certain current president you should stop reading and stick the book somewhere I won’t mention. I can’t help but think this direction might leave eBook readers unsure of what to do. There is an eBook available, correct? And should eBook readers of a particular persuasion shove the whole Kindle or iPhone up there? What’s the protocol? ALMETER: Yes, there is an eBook. And yes, anyone who does not agree with me can stick their Kindle and/or iPhone up their butts. Just unplug them first. EOA: Unplug the devices first or…? Never mind. Moving on. How do you think fatherhood has affected your writing? Particularly, your desire to tell this story. And as a father and successful attorney, how do you fit writing into your schedule? That’s it. These are serious questions. ALMETER: I don’t golf. I don’t mow the lawn. Our basement flooded last fall and all the wet and soggy basement stuff is still just sitting there in the basement. I don’t play poker with the neighborhood poker league (even though they practically beg me to) (Editor’s note: I’m sure they do, Gary). I don’t garden. I don’t have any guns to clean. I don’t tinker under the hood of my motorcycle. I don’t do Jagerbombs. I don’t go on business trips. I ran the Boston Marathon in 2014 and figured I couldn’t top that, so I don’t exercise. I have yet to lose my hair, so I do not have to spend hours trying to conceal hair loss. We don’t have cable, so I can’t watch House Hunters. I don’t check my investments all the time. I don’t change my oil and I always plan it that I am first in line at Jiffy Lube so I don’t have to wait that long to have my oil changed. I don’t hunt. I don’t fish. I contribute nothing to society. I only go to church at Christmas and Easter. So instead of that I write. Which I really, really enjoy. That’s my fun. EOA: Incredible. I had no idea motorcycles had hoods! No wonder mine never works right. Anyway, one critical question remains. What is your favorite ice cream flavor? For me, it's a toss-up between Publix Chocolate Trinity and Eddy's French Silk. ALMETER: I am not going to tell you because then you and your mom will buy it all and there won’t be any left for me. EOA: You are so wise. Finally, what’s next for Gary Almeter? A teenage vampire novel? ALMETER: I do have a novel all done. It’s not a teenage vampire novel. Those don’t sell. (Again, Andrew, your naivete is refreshing but it’s also sort of annoying.) My novel is sort of like if Michael Crichton and Sylvia Plath went kayaking and then on the kayak trip they stopped and did a campfire with Jeffrey Eugenides and David Sedaris and then Jackie Kennedy runs out of the woods and everyone’s like “Hey Jackie come have S’mores with us.” It’s like that. And also Harper Lee. EOA: Well, I cannot wait to get my hands on that! But first, you can get your copy of The Emperor of Ice Cream now! Thanks to Gary Almeter for stopping by.